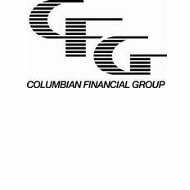 Columbian Financial Group is the parent company to Columbian Mutual Life Insurance Company, Columbian Life Insurance Company, Columbian Financial Services Corporation, New Vision Service Corporation of New York, and other affiliates that fall under the Columbian Financial Group umbrella. The company has been in existence for over 125 years. The company began in 1882 as the American Protective Association in Brooklyn, New York. There is no record of health insurance on the company website. Interested policyholders also check whether they are interested in purchasing life insurance, prefunding a funeral, or purchasing life insurance for final expenses. Available careers at Columbian Mutual can be found on their website. Interested employees can view employee benefits, job openings, and area information. In addition to these benefits, Columbian Mutual allows employees a discount computer purchasing program and tuition reimbursement. Job openings are updated regularly and appear on the website. Simply click on the current openings to get information regarding the job description, qualifications, posting date, and locations. The area information is a nice addition for potential employees. It is a link to the city’s communities, attractions, events and other information that would be important to someone relocating to Binghamton. Directions to the office are also available on the Columbian Mutual’s website. Columbian Mutual recently received the recognition of being one of Ward’s 50 groups of top performing life-health insurers in the country. Columbian Financial Group maintains an “A-” rating by A.M. Best. The company currently has assets in excess of $1.4 billion and over $100 million in capital and surplus. You can get online health insurance quotes from stable providers like Columbian Mutual by typing your zip code into the free rates tool now!